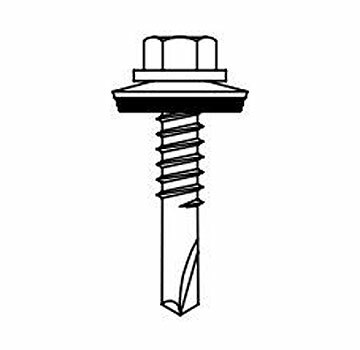 The 410 stainless steel metal-to-metal fastener is designed to self-drill and join metal panels in roofing and siding applications. Available Painted and in sizes from 7/8 to 1-1/2" long. Please email for pricing. • 410 Stainless Steel is magentic, and heat treatable. • Provides corrosion performance for attaching steel, stainless or aluminum panels. • Designed for secured attachment to both panel and substructures. • Stainless self-drill fasteners are engineered to have low driving torque and provide maximum clamp load. • Excellent drill performance in light, medium, and heavy gage applications.